Im Zuge der PR für die Youth Winter Olympic Games wurde auch ein offizieller YOG-Song von der jungen Tirolerin EMA aufgenommen. Das Video zum Song "This is our Time" wurde in Innsbruck aufgenommen. Als Kamera diente eine Canon 7D mit meinem Objektivsatz. Geschnitten wurde das Video mit FCPX 10.0.2 (bevor in 10.0.3 die Multicam Features eingebaut wurden). Visagistin Ann (innstyle bzw inn-shop.com) hat einen großartigen Stylingjob gemacht. Das Video hat Ende April über 220.000 views auf youtube und planet-tirol. Ihr könnt das Video hier sehen. Theyoung tyrolean singer EMA recorded this song as the official song of the first youth winter olympic games in Innsbruck 2012. Eggermedia produced the official videoclip for this song. It was shot in Innsbruck on a Canon 7D and edited in FCPX. You can watch the clip here! Peakbreak ist ein Etappenradrennen für Jedermann quer durch Österreich und Norditalien bzw. über die Pässe und Berge dort. Neben den österreichsichen Klassikern Großglockner, Kitzbüheler Horn, Nockalm und anderen sind auch die Giro Legenden Monte Zoncolan und Kronplatz am Streckenplan. Eggermedia produziert für den ORF und ServusTV jeweils einen Dokumentarfilm sowie einen Gesamtfilm für den Veranstalter. Wir setzen bei dieser Produktion erstmals eine SONY PMW-F3 ein (Kameramann Stefan Krösbacher) . Außerdem haben wir auch Final Cut Pro X erstmals in Betrieb. Einen Blog zu den Erfahrungen mit dem neuen Equipment gibt es hier. Peakbreakis one of Europe´s hardest racebike-race through the Austrian and Italian Alps. 1000km and 19.000 altitudemeters are between start and finish. eggermedia produces documentaries for ORF and ServusTV, the two big Austrian networks. We will inform here about the broadcast dates. We are using a SONY PMW-F3 and Final Cut Pro X for the first time in this production and blog about these experiences here. We are two film-producers. And we plan to put FCP-X to a real test this week. 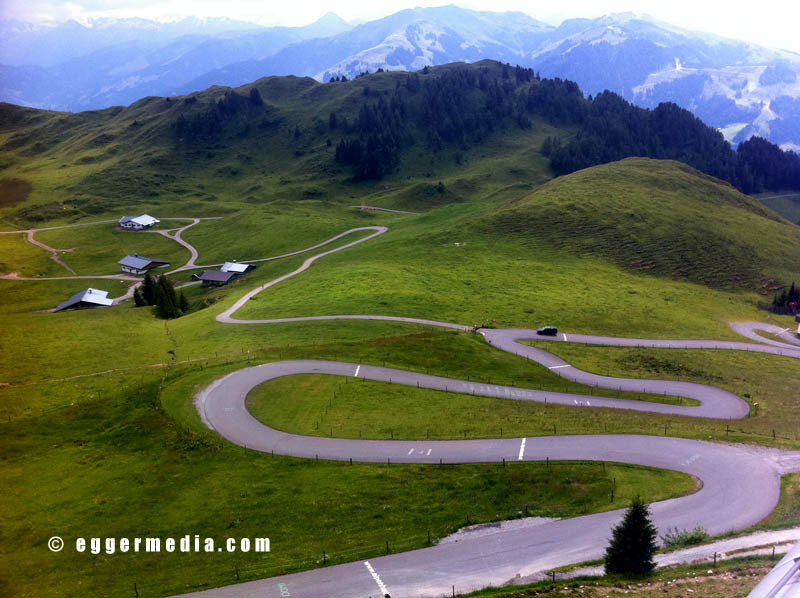 Peakbreak is a nine day bicycle race through the Austrian and Italian Alps. The riders will have to cycle 1.000km and over 19.000 altitude meters. So they are up for a huge task. We are following the race on motorbikes and in cars with a SONY PMW-F3, a Canon 7D, a Nikon D7000, a SONY EX-1, a SONY EX-3 and a Panasonic HVX200E. So we will get our mix of footage-formats from XDCam HD to DVCPro-HD and h.264; add audio recording via a Zoom H4N and you know we are in for a heavy load of transcoding, synchronising etc. 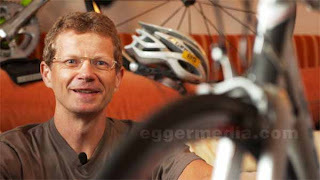 If you take into consideration that we will put out daily clips on the web, produce two documentaries for the national TV-networks ORF and ServusTV and also plan on making a one hour director´s cut for the Bicycle Filmfestival - all in 2 weeks, then you know we are gonna squeeze any editing system down to its knees. We decided to use the brandnew Final Cut Pro X, X as in 10.0 , ten-ZERO! Yes, we use a dotzero software. Why? Because we tried it and since then hate everything else. It is SOOO fast, at least we believe so. Until now. Ask me in 3 weeks what it is about. Basically we think it is the future. So why wait, if it´s already around the corner? - output without dedicated audiotracks? huh? well, we think we have a workaround inplace....and if we are lucky Apple brings an update within the next 3 weeks anyway.....how did MC Hammer sing? "PRAY! "...that was it. 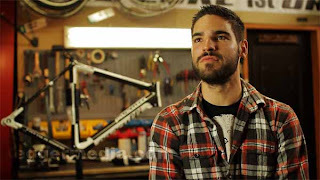 We started shooting last week in Vienna where we hooked up with the bicycle-club RADCORE. They have several members in the race, and they had a great garage as a set for the interviews. We can´t wait to meet them again and shoot them racing. Today was a shoot on Kitzbüheler Horn, one of Austria´s steepest mountains, which will be a time-trial stage in a few days. That was the easy day; traveling, shooting some beauties around Millstaetter See, a lake in southern Austria, where Peakbreak will start tomorrow, and then capturing material from the F3 and the EX-3 and two DSLRs. It wasn´t much so we tested the sharing of events. We are 3 shooters and 2 editors with MacBooks. Macbook Pro A has the main drive, we called her BEAST, and the main Event on it, we called it Peakbreak 2011, what an inventive name. On Macbook A Alban imports his footage. EX-3 material gets transcoded via SONY XDCam Transfer and then imported as a folder, h.264 files get transcoded within FCP-X. On Macbook B Stefan transcodes his F3 material via XDCam Transfer and imports the clips into an Event he called Stefan Peakbreak Transfer. Here´s what we tried and what happened: Stefan copied the event (File>Duplicate Event) onto a mobile-drive. We took the drive with and connected it on MBPA. FCPX recognized the event on the drive and showed it with the content in the event browser. Now I dragged that event on top of my event and FCPX responded with a "Merge Events" dialogue. FCPX MOVED the event´s files onto Beast and in the main event I ended up with the one keyword selection and the material from Stefan´s day. That was easy! All that was good. Problem. The material was moved, so when we plugged in the drive with his Mac again (BTW, needed to close FCPX to unmount that drive), the event was gone (it had been moved after all). Tomorrow he will make a new event and keyword collection (with his favorites) and we will merge that again into the main event on my machine. In the end I will have all in one event in my drive and FCPX, he will have 9 or 10 events on his machine. In the end Stefan will have to merge all his events into one, by simply dragging their icons onto a master event. There´s one problem. Stefan tagged his best clips as favorites. Then made a smart collection called "FavsDay-1" based on the tag: "Rating is Favourites"
Ok, now he made a second Event to test what would happen tomorrow. There he imported different clips and again created a Smart Collection called "FavsDay-2" based on the tag: "Rating is Favourites"
NOW comes the bad news: when you merge these two events, the smart collections BOTH disappear instead of merging into one based on the tag "Favourites". Keyword collections carried over in merged events, but smart collections don´t. Apparently you need to have unique smart collections for every event. So we are just asking ourselves if we ever use smart collections, because you never know if and when you need a merge of events. Workaround would be to put a keyword on every smart collection before merging events. Today we imported footage in a new flavor: P2, DVCProHD Material shot as 1080p and 720p with 32 frames per second. When importing P2 you have to use "File>Import from camera", and not "Import Files". We left the "Remove Pulldown" on. We chose to also click on "Optimize Media". The import took a while and we got several error-messages that stalled the import, so we had to sit next to it, but all clips ended up in the Event. The 1080p material was quicktime files and the 720p slomo-stuff showed up as P2-plugin files in my Event. Then we ingested also XDCam and h.264 like yesterday. All seems to run smooth so far (as expected). The Merge Events works also. The only delay we had was when my h.264 was transcoded, I could´t merge the events but had to wait for that task to finish. Apparently the database needs to be in a quiet state before messing with it……that´s why you can´t rename folders or delete folders when background tasks are running. The funny part is now the transcoding and re-wrapping takes a lot of time…the selection of your favorites and the edit itself is a "small part of the job". we did the same as yesterday. Stefan made his new Event with today's footage, copied it onto the Transfer Drive and Alban merged the Events onto Beast. after a while, spinning beachball while merging. what to do? wait it out? force quit? after a while we decided to force quit FCPX. So we reopened FCPX and tataaa, we have our original Event without files and collections, and the same event with the suffix "temp" with all the collections but without the media….and now? we decided to close FCPX, and reopen it. This time our original Event found the files, but all the tags/metadata/keywords and collections were gone but still present in the "temp" project. at that moment the producer - alban - was ready to pull the plug on our little project here and restart with fcp7. i disagreed. thanks to the decision to copy all media into the event all the files are still there. the only thing missing is the metadata in the original Event. in the "temp" Event we have all the metadata, but not the connection. now we tried to copy one file from the original event into the "original media" folder of the "temp" event, and after reopening FCPX the "temp" event reconnected this file correctly. so we thought we just copy the FCPX "currentversionFCP" of the "temp" event into the folder structure of the original event and thereby getting our metadata structure back. so we again replaced the "currentversionFCP" of the original event with the "currentversionFCP" file from the suffixed "temp" event and all is back except for the projects already prepared. so be it. stefan's event moved without any problems. moving all of us to italy…. Sorry, but we have been in an internetfree zone for two days, hence we could´t upload our first clips, because even the organization of the race was blacked out. Here is the first clip we created…..
BTW the MOVE EVENT command works. If you read our earlier blog-entires from this project you know we had trouble merging Events. We have not tried to move from the same drive, because there is not much time for testing right now anymore. The EDITOR is extremely powerful. It is quick, intuitive and does help to shorten editing time - a LOT. The new shortcuts seem to work good also, but if you can´t give up your old ones just remap the keyboard. But there are some thing in FCPX we would like to have changed/optimized. - what really annoys us is the way you pick and drag in FCPX especially in the Event Browser. Often you wanna drag a clip to the timeline or a keyword, but instead you select a range. And if you want to move, for instance, a keyword and drag it into a folder a few lines below I often select a bunch of lines. I need to drag left first to detach the line/keyword collection/folder and then can move it. - another HUGELY annoying "feature": In and Out points are lost when you click elsewhere. Yes, you can select a favorite for the clip and keyword it and all that is great and fine, but if I want to set an I and O then that´s all I want and when I get back the last I/O should still be there. - spinning beachball quite often. it recovers after a few seconds, still the software seems to think a lot and stops responding…..
A little tip: I ran into this problem: I had a song and needed to shorten it. So I cut out a piece. The Song was below the primary storyline. So when I cut it I have a second audioclip connecting to the primary storyline. Now I wanted to move the clip it was connected to. Well, the audio went with it. Solution: right-click the clip from the primary storyline and detach it from there. It becomes a secondary storyline. The primary gets a GAP clip, and your song connection stays. Replace the gapclip with a new filmclip. Hey again…..after 450kms and 11.000 altitudemeters on a Yamaha or shooting out of a the open backdoor of a car, at 100km/h downhills and edits throughout 4 nights we are pretty tired already. But it is fun, at least as long as the weather is dry. And FCPX does treat us well so far. After the little merge problem everything went fine. This is our modern TV studio packed into one petrol bag: 2 MacBooks, 8 TB of harddrive space on 3 devices (more on our backup system later in the blog), IPads as secondary monitors (via AirPlay app). - it is just great the way Final Cut X allows an editor to edit away while the ingest/re-wrap/transcode runs in the background. No more waiting for files to be ready, just edit away. - the option to share events and then move and (if you are lucky) merge them is saving a lot of time. - Trim-Start/Trim-End are now on my keyboard as "1" and "2" and it is my favorite editing and trimming tool. Point FCPX at folder where new dailies are. Tell FCPX to import/copy and create optimized media. Start editing immediately; throw all clips into a new Project called DayXroughcut; FCPX will automatically switch to the ProRes files once they are ready. JKL through timeline/project and hit "1" and"2" when I want a file to start/end; clips I don´t want are selected and thrown out with backspace; FCPX will always close the gaps for me. - the new colour is maybe more powerful, than we thought at first glance. I don´t like the colourboard, but as an option for people who use it little, because all they do is newsstuff or colourmatched cameras, it is fast. And it is very deep once you start digging into it. But no replacement for colour really. Just a MUCH better Colourcorrector within an NLE. - in some dialogues you can apply setting numerical, in some not. We are missing the option to change settings with the mousewheel. All this is not consistent throughout the UI at all. - VERY BAD is the screenlayout. It is not made for a laptop, which seems weird, since everyone says FCPX is made for MacBooks. It is not workable. When you do a colorcorrection you have 4 windows open and we wonder why they chose a one-viewer layout when you cant use the gained space by clicking away the libraries and put the colortools (waveform, vectorscope etc) there. We want a two-screen layout and the option to click away parts of the screens to put others there. Same goes for Motion BTW, which is one-screen program now and that is just so wrong. Look at this photo....the Event library on the left is not needed during colourcorrection or audioediting. But I can´t make it smaller or click it away. WASTED SPACE! - all the automatic stuff is useless: match-color? we tried on different clips and it shifts the Hue to weird colours. Why stabilize all your imported clips? Audio enhance the same…it is much better to do these tasks on the few clips that need fixing instead of wasting the time and rendertime. These bells and whistles are really not for us pros. New clip online. We are getting the groove of FCPX. It rocks pretty bad. We are shocked how fast you can shoot out such a clip. We might have a little time to post here today. In short. FCPX is fast, very fast. Watch the clip and guess how long it takes to edit such a piece. I tell you it takes half the time. If FCPX would already allow for native XDCam editing we would be happy campers. But we are anyway. The F3 experience and some lost items. Today I lost something precious....noooo not in FCPX...I lost the rubber on the viewfinder of the EX3. According to the rental house SONY charges 136 Euros for that piece. And there are people complaining about the 300-Euro FCPX? Sheeesh, where´s common sense nowadays? 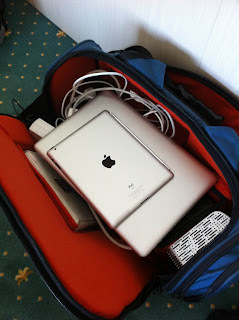 We didn´t only bring FCPX as a test-tool this week. Stefan also brought his brandnew F3 as you know. Since I do most of the editing and he hardly allows me to touch it - ever- I can only say the files are treated just as EX files and the images are gorgeous. It has this lush look that I miss with the FS100 and the AF100. F3 is just a different league. A 5D with videohousing. first off: i got mine about a week before this project, and i had no time whatsoever to really dig into all the features - especially picture profiles and how she reacts to different settings. so all of this using the f3 in a sports documentary is more "let's see what happens if we use it" kind of thing. so how does it work in such a run'n'gun scenario? i didn't expect it to be that great. really. workflow/speed: it's just like working with an EX-1. but how well the F3 resolves in the blacks is mind blowing. if you look in the EVF you might think that all the info is gone in the blacks, but once you watch it on the computer you can see stuff in the blacks you never dreamed of. we often had to shoot straight into the sun and the F3 resolved the shadows very nice. the ex-1 is a very decent camera for what it is, but the F3 is a different league. constantly be pulled out of my bag, shot handheld, then put back, then pulled out again… the F3 is heavier than the EX-1. you feel it. this is one of the reasons why i don't like the VDSLR/RED Epic Form factor. you always need some form of support to work with it handheld. as you already have seen i also used a sigma 10-20 3.5 for more extreme pictures. both are wonderful glass but i was worried about pulling focus. i use a TRUSMT T3 Follow focus which works really great for the price. it feels and works very solid. i found it 2 weeks prior to this project on ebay and am very happy with it. so, the f3 performs very very well, even in this challenging situation. what was meant as an experiment turned out to be perfectly suitable. really needs to unleash it's full potential. so i'm very happy with it. the pictures are wonderful - a huge step-up in picture quality comparing it to my EX-1 and D7000. i think nowadays you don't buy the gear for the client any more. heck, if commercials are shot on a 5D and the client is super happy, why should i spend 5 times the money on a F3? i bought it, because i think it makes my work better. it has the handling of an EX-1 and that's what i miss with DSLRs. Does the client see the difference? i don't know. in fact, do i care? I want a tool that i have fun with, that can face a lot of challenges, and challenges me to become a better photographer. and the F3 has all that i missed on a feature film project i did last year with my EX-1. btw, the mic that comes with the camera is superb. and i'm not too sure if i will use in the rain because i can see the internals beneath the ventilation shafts and i have no decent rain cover yet. The battery drain is much higher than on the EX-1, I guess double energy consumption. Ok, one worry we had seems not to be justified. We have now reached almost threeandahalfthousand clips in the main project (oops...I mean event). Besides we have now 6 day-events from Stefan with about 300 clips each. But...I do still have spinning beachballs when jumping between events and also when I am transcoding new material in the background, while editing a project. Sometimes 10 seconds, sometimes 2 minutes. I am quite sure it is a limitation with my laptop and the 4GB it has. They are maxed out all the time. 64-bit is hungry! Another thing we noticed: when you transcode material to ProRes it is just smooth. You can edit XDCam just as smooth. When you mix them.....FCPX strats thinking or drops frames. Again I can tell you more when I am on my MacPro, because I also think this is a problem with my 2008 MacbookPro. 1080p is just too much for that "old machine". We are back home, the race is over. Over are the long days on the motorbike/in the trunk of a car. As you have noticed we only did some basic editing on the road. 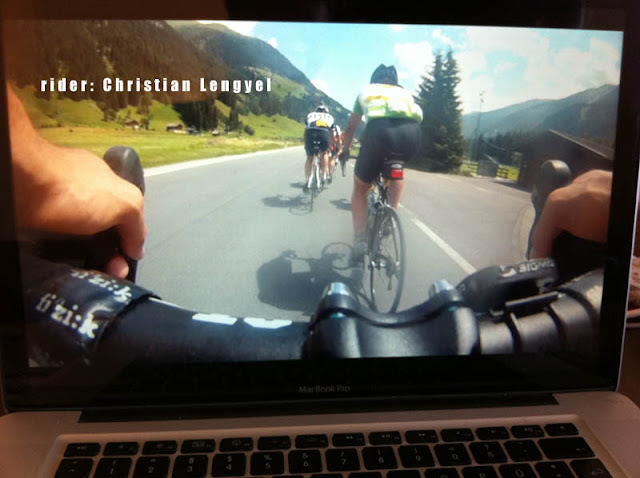 Those clips were mainly made to show the racers at their prizegiving. So it was not artistic editing and we had no time for audioediting, but killed the atmosounds and put music on top. The goal was to see how fast FCPX can be, and if you consider we had shooting days that lasted up to 15 hours, then ingested 500 clips and more and then edited a 2,5 minute piece (still the same people working, no assistant editor on set etc) all in a few hours on two macbooks then those "webclips" are great and they helped to motivate the racebikers to saddle up the next day again. I doubt Avid could have been faster.....or premiere....maybe Edius has the same speed. BTW we shot a few nice interview-sets beside the race also...so don´t worry, just because there are none in our small daily clips. doesn´t mean we didn´t shoot any. Ok, what happened FCPX-wise: Once I got home I mirrored the BEAST working disk...again. 1. Offload all original data from cameracards into main RAID "BEAST" (WD MyBook SE 4TB RAID-0). I sorted the Folders by "Day-Shooter-Camera". 2. On XDCam material: send it through XDCam transfer into a new directory "Day-Shooter". 3. On h264...leave it where it is. 6. In FCP import the material and click "Optimize Media". I wouldn´t click "Copy media" anymore. That would mean (and does so on a few days of this project) that I have on the same drive the RAW, then the Copy of the RAW and then the Optimized media. Not necessary when I have a mirrored image of my Events and Projects folders with all optimized media anyway. 7. Mirror "BEAST" to a 3,5`` backup-drive. 8. Every now and then I also copy the "CurrentVersion" Final Cut Files from the Events and Projects. 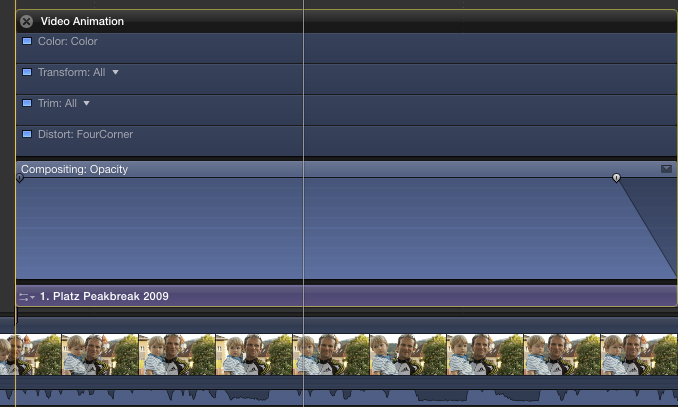 So in the end I have the RAW camerafootage, a copy of that, then the FCPX structure and a copy of that as well. 4x safety......and preferably transport the copies in different bags/cars ....we didn´t do that though. Ok, when we got home as I said we mirrored the project to a brandnew disk. Now I have a Status Quo after the race, which I leave in the closet and work on as before with the other disks. And finally move to the MacPro.....aahhh...nice. As I said 64-bit is hungry and my Macbook might simply be too old now for 1080p work with thousands of clips. It is still great for dailies and such though. Then....I had to merge the main project with the daily Events from Stefan. If you read all of the blog you remember this didn´t work to good last time. I started with his "stage one". It took an hour...spinning beachball and all. When it was done....I had lost all folders and smart collections as expected. But the keyword collections from the Events "Peakbreak" and "Stefan Etappe 1" were there. So far so good. Now I selected all other dayevents from Stefan (2-6) and dragged them onto Peakbreak and started the merge. I left it running overnight.......came back in the morning and it looked good, but it felt terrible. Clicking an icon meant a spinning beachball for a minute......so did we now finally break FCPX and my Mac Pro? The RAM was used up...I have 16GB installed and had 23MB left. No, we didn´t. I quit FCPX which gave me my 16GB back, restarted the machine and started FCPX again. Now it is running happily again. This database-merging stuff seems to be hard on the machine. Next step....importing the last stage and importing all material from the third camera. This is the P2 stuff that we didn´t have time to ingest yet. This is currently happening and I am well beyond 4500 quicktime clips, add audio, synced compound clips, grafx and so on.....the project is relatively big now. Not a feature film yet, but a shortfilm easily. During the P2 import I am left with 300MB RAM....so apparently the RAM and GPU do a lot of work, while the CPU is almost idle right now. What´s interesting on the P2 DVCProHD import is the fact that I had errors on my Macbook...but not on my Mac Pro. No idea why, but wanna share the info. Ok, ingest should be over soon. a few more GoPro Shots need to be transcoded (I do that in MPEG streamclip. because I don´t want to have 80GB of GoPro rubbish in my project but select them outside FCPX). Then we start the edit - teh real edit - where broadcast rules apply....the audio needs to be proper, the colours need to be legal and the story needs to be in place. well well......while everything runs smoothly I really have to complain about the missing Broadcast monitoring. I am used to have three screens running (one for bins / events, one for timeline, viewer, scopes, one for the screen itself. Matrox cannot provide me with drivers for FCPX to output high quality, only preview Q. That is a no-no. Apple are you listening? I have to rely on my scopes now. I wish even more I had an option to show 4 scopes in the "CMD-7 window"......or is it there and I can´t find it? 5429 items and growing, database still untested. I have now ingested pretty much all raw filmclips and some songs. there will be several more audioclips and animation out of Motion or AfterEffects, but I guess 5500 will be where this project will end up sizewise. 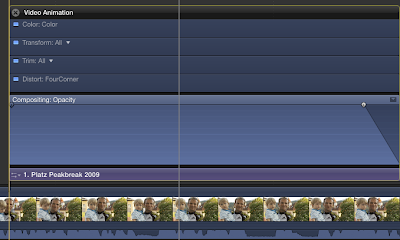 FCPX seems to handle this load of clips easily (keep in mind it uses all of my 16GB RAM right now!). When in List mode the Event Browser is snappy. When in Icon Mode I need to wait a little while changing keywordcollection or Folder, but nothing unusual. While I stay within a folder/collection there is no delay or lag at all. FCP7 constantly crashed on me while scrolling, when I had bins with many clips and thumbnails activated . FCPX does not mind to show dozens of clips with waveforms in the Event Browser. That is a surprise to me for a .0 release. Then again it crashed twice today when I imported animations (ProRes422 movs). So it is not perfect yet, but it is definitely workable. One little feature would be useful in the Eventbrowser: Now I have listview with the selceted clip showing one line, or I have icon-view where clips simply fill the lines and then drop into the next line. that´s hard to scroll through. I would like a iconview where every clip has its own line regardless of its duration. That would be a cool addition to the slider that allows to select seconds, minutes or ALL in the icon-view settings. Well, you need to read aaaalllllll of this blog to hear everything...but this post will be updated every now and then with news about the actual editing process and when I find new features. Here are more features and bugs (or missing features) that I find while working on this project. - In 2-screen mode while trimming or sliding there are in fact two viewers. I have the viewer and the scopes/hostogram on the right screen. When trimming the Scopes make room for the IN-Point view. So it is a dual viewer when you need it. - Did you know you can add keyframes to the audio by holding ALT and clicking anywhere on the audio-volume-line? - I have Compressor rendering in the background (using 400% of my 16 cores = 1600%). FCPX doesn´t mind at all. In FCP7 a render process in another program always slowed FCP7. - I love the icon view now - but still want a "one-line-per-clip-view". I have the duration set to 10 seconds and it is a breeze to skim through a bin/collection with dozens of clips. - OMG. I just found a simple way to speed things up: Menu "View-> Hide Waveforms", do that for the Event and you can race through the icons even faster.....WOW! In the timeline it also helps to turn them off or just change the clipappearance in the bottom right. - The new colour correction tool is a great color correction tool. I don´t say grading (yet), but colour correction.- Correction often means to fix a "too cool" or "too warm"....well....minus reddish or minus blueish is what you want. It works. Easy. Grading I am not so sure yet, but fixing problems it is fast and the quality of it seems to match that of the old "Color"
- with 5500 items and dozens of keywords it takes a while now to open and close the project. 2 minutes each way i guess. - major flaw found !!!! you know you can´t drag an effect from clip to the next. you have to copy the clip and paste ALL its effects. Doing this you will also copy all audio-efects for example. If you have a soundcompressor on one clip you will copy it over to the next. if there was one before...messed up.....so you have to clean up stuff after this copyprocedure. if haven´t found a shortcut "copy video effects only" or "copy audio-effects". they need to find a way so you can drag an effect from the inspector onto another clip. making presets is no help either....i will end up with hundreds of presets soon. and it´s slow to scroll down to them anyway. !!!! !EDIT: I found some help: you can go to COMMANDS and find "Copy Color Correction from previous clip, two clips before and three clips before and copy/paste these corrections alone. I have now shortcuts for these 3 paste-commands. - title-fades.....there are two ways to fade titles/graphics. One is to make it it a secondary storyline (CMD-G), only then can you add a transition like a dissolve. This turns the title into a clip (also in size/height in the timeline, only purple). I don´t like that because I will put the titles on the "highest track" in the end so i can create a clean version of the film easily. And when they are thinner they are easier to be identified as titles to me. So I use the videoanimator in the clip (CTRL-V), adjust the opacity fade there and then CTRL-A to collapse this video-animationtool again. - now you ask how I will put things into higher tracks....well...I use gap-clips to adjust the magnetic timeline. It is fairly easy. At the end of the project when I go through it all anway to check audio I will add gapclips and position them where I need to lift clips higher up (or lower on audio). This is one of the setbacks of the magentic timeline....but IMO it is by far not as long as what the magnetism saves me in time during the actual edit). as promised i'd like to share my PP Settings that i use the most - essentially these are the same settings i use on my EX-1. How to take parts of a Project (aka Event) with you, edit mobile and come back. I had to travel for a day but wanted to keep editing on this project. I didn´t want to bring the RAID, knew the project itself was too much for my MBP and decided I wanted to edit a certain segment only. 4. on your MacBook you create a new project which is linked to the Event on the mobile drive and you can do your magic in FCPX now. This project will access the event with the copied media. 5. back on your main machine don´t open FCPX but in the Finder copy the PROJECT on the mobile drive into the Projects folder of your main drive where the main Event lies! 9. Voila...it is all reconnected again, even the renderfiles are in place already! Now you can leave this project alone until you need it elsewhere, then copy and paste the clips out of it into your other projects when needed. !!!!!! This workflow will also work when sharing the workload. Let´s say you are 3 editors in a project. You collect everything on one machine, then drag the needed footage (via keywordcollections) to each others mobile drive. Let´s say one guy does Scenes 1-11, one guy does the action sequence and the opening sequence and one guy works on the third act with scenes 12-25. You simply drag the keyword collections for each scene to the according drives, they take these drives with them, create new projects (for each scene?) and in the end come back and you modify the references. Brilliant, easy, fast. I can see FCPX as a great networking tool, when you have a fileserver (heck a macmini will do with a big tunderbolt RAID attached) and the editors only take the footage they need or use it out of the network event. Derzeit werden im Tiroler Unterland "Die schönsten Liebesgeschichten" gedreht. Wer Rosamunde Pilcher Filme kennt, weiß so ungefähr worum es sich inhaltlich handelt. Im Auftrag der Produktion Couchkino drehe ich die E-Shots, Beauties und Second Unit Bilder für diese Filme. Es gab bereits einen Helikopterflug rund um Rattenberg und das Rofangebirge. Außerdem stehen Almen, Bergseen, die Zillertalbahn und weitere schöne Landschaften und Wahrzeichen Tirols am Programm. Gedreht wird in HDCam mit P+S 35mm Adapter und wie hier am Bild zu sehen PL-Mount Filmoptiken. Wenn es ins Gebirge geht werden wir aber gewichtsmäßig abspecken und mit einem herkömmlichen Fujinon Zoom arbeiten. Immer 5 Festbrennweiten rumzuschleppen ist einfach mühsam. There are several films being produced in Tirol right now, that run under the storyline "The biggest Lovestories of all time". The productionhouse Couchkino has hired me to shoot the 2nd Unit Images, Nature, Beautyshots for their films. I have already flewn one heliround and we are currently waiting on the weather to develop to go into "scenery-mode". We are shooting in HDCam with P+S Adapter and PL-mount optics. 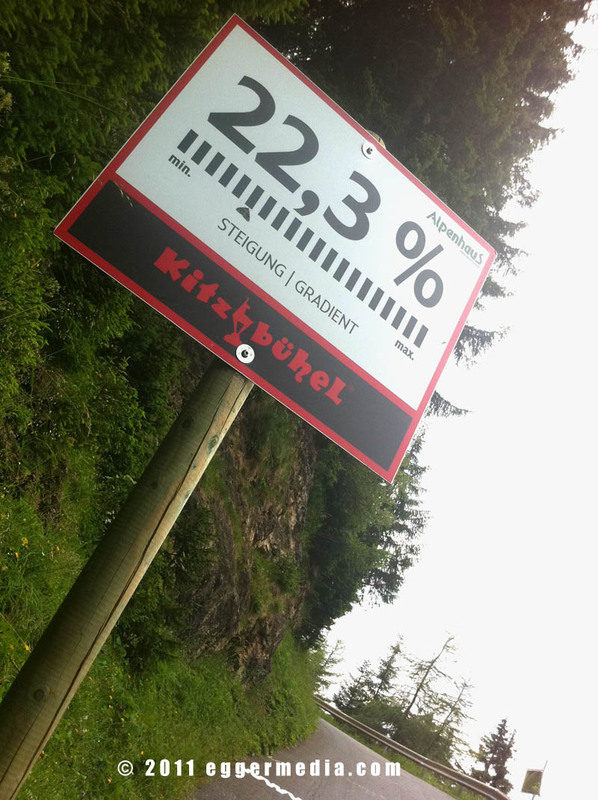 In the high-alpine areas we will use a regular HD-lens to avoid excessive weight.